Over time, we expect to be making all sorts of beers; we enjoy the chemistry and experimenting with new recipes. For now, we’re focusing on beers that we like: crisp blonde- and pale-ales, porters, maybe a stout or two. 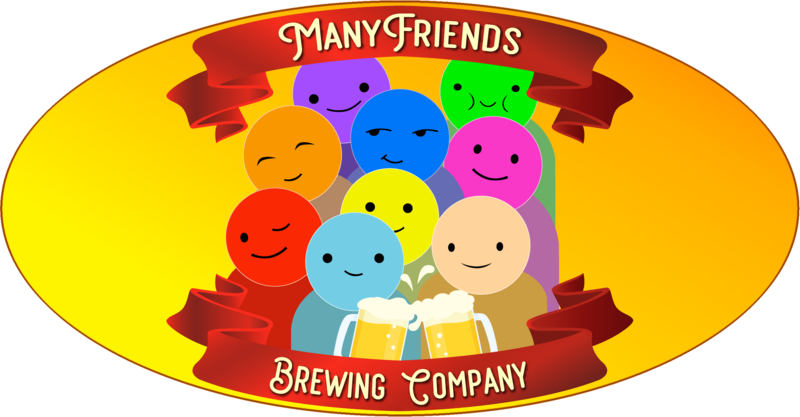 We’re not a big fan of sours and flavored beers, but recognize that they’re trendy, and everything’s not all about what just we like — our ManyFriends include all sorts of folk with a variety of tastes and we’ll do what we can to make top-notch beers to serve all of them! But, since they’re not really our thing, we might have to rely on others (wink, wink) to do our taste-testing for us. We’ve also got a pretty decent hard root-beer recipe, though that still needs a little adjusting before it’s ready to share. We’ve also got plans on some ciders and meads, and we’re going to see if we can’t make a gluten-free beer that’s worthy of the name “beer”. We’ll have to see how that goes. The future is bright, though — and incredibly long — and there’s a lot of things to try, so who knows where this grand adventure might take us! Next 90% of making beer is cleaning things.